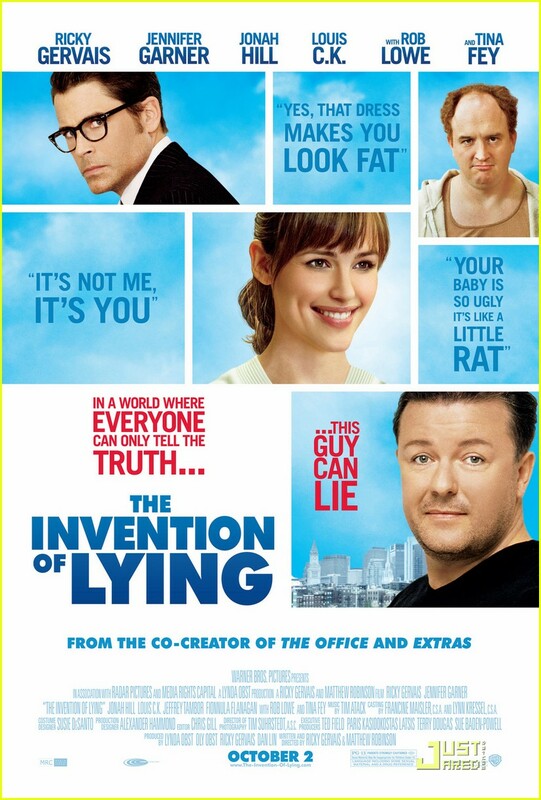 The Invention of Lying just doesn’t know what it wants to be. It spends its first third belaboring its premise — a world where people are incapable of lying — with the same joke over and over. Then it shifts to a Yes Man-type attempt at an inspiring tale. Then it shifts into a religious satire. And finally into a generic romantic comedy. It’s all a bit discombobulated and, unfortunately, unsatisfying. Though the cast is full of lovable stars, they feel a bit strangely used and discongruous. Ricky Gervais leads the pack and only sometimes does a good job. He absolutely nails the satirical elements, but the conventional portions of the film fall short in spite of Gervais’s prodigious charms. Jennifer Garner stars opposite Gervais and she is as winning as always. There’s not much chemistry between her and Gervais, primarily because her role is in the romantic comedy portion and that’s where Gervais falls flat. The supporting cast is an all-star bunch but takes very odd roles: Louis CK is good at his deadpan but the character written for him contributes little. Rob Lowe as the foil doesn’t play to his strengths as an actor, and Jonah Hill’s contribution is very strange and short-lived. (Side note: Both CK and Lowe have appeared in the exemplary sitcom Parks and Recreation to much better effect.) Tina Fey and a few other stars appear for mere moments; why bring in the big guns if you have nothing for them to do? The reason to see this film — aside from the first few minutes before the premise grows tired — is the extended scene where Gervais essentially invents God (“The Man in the Sky”). It is Gervais at his finest and most natural: biting, sarcastic, subversive. No other scenes in the film quite reach the hilarious heights of that atheistic satire of religion, even though later scenes toy with the idea — particularly a scene where an unkempt Gervais resembles a certain religious figure. Others may be more hooked in by the premise than I was. I just thought a main character with all the knowledge and upper hand — he alone has the ability to lie in his world — was largely unappealing. But even if you buy the premise, large portions of the film have little to do with the film’s hook. Honestly, I can’t imagine anyone really loving this film unless they’re really smitten with Gervais. The film is just too schizophrenic to ring with any sort of truth.